Fine examples of the essential Allen Key set. The Allen keys are made from tool steel for hard-wearing longevity. The Allen keys chamfered tips make for a perfect fit. The fibre-reinforced resin handle is stronger and more comfortable to handle than steel. Park AWS10C Allen Key tool. 1.5, 2, 2.5, 3, 4, 5 &6mm Allen Keys. Sometimes you need something smaller than a 4mm Allen key when working on the likes of brake spring tension adjusters, Gripshifts, SPD springs & cleat bolts, and its then youll be grateful for the Park AWS-10C. Park AWS12C Allen Key tool. 2, 3, 4, 5 6mm. 3/16, 7/32, and 1/4 Allen Keys. 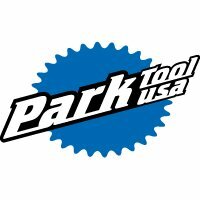 You'll need this tool for BMX bikes which tend to use a mix of metric and imperial-sized Allen bolts.